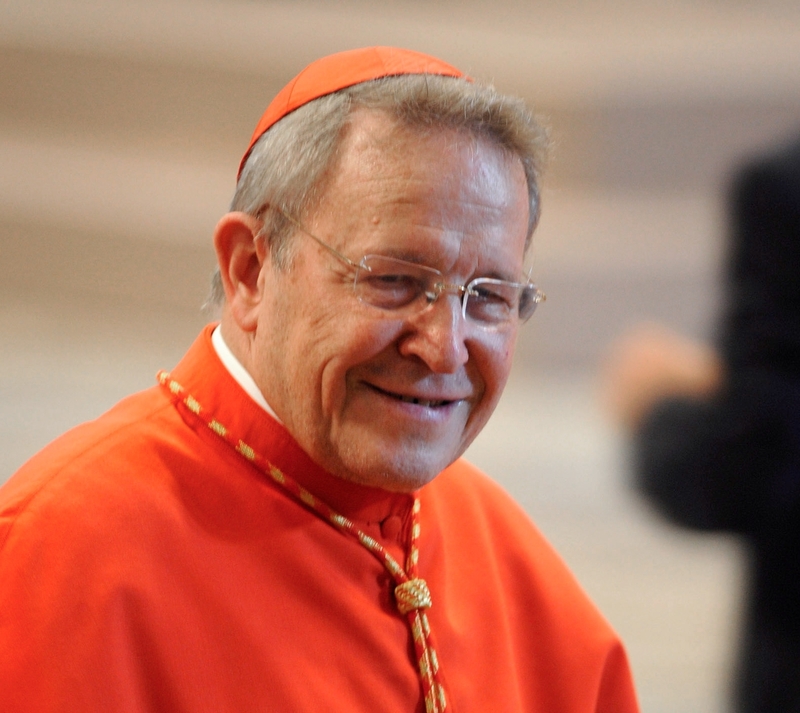 With cardinals who head the world’s major dioceses lining up against Cardinal Walter Kasper’s proposals to provide a path back to the Eucharist for those who have entered new relationships after divorcing, reform is increasingly shifting to the sphere of annulments. This is obviously a crucial part of this debate because it brings together two very significant aspects of Catholic teaching and understanding. It brings together a teaching about the indissolubility of a valid marriage …. and it also brings together a teaching about the meaning of receiving Holy Communion, that visible sharing in the Eucharist. These are two aspects of Catholic faith that have deep roots and deep implications. And I don’t see for myself where the area of manoeuvre opens up without quite a radical rethink of one or the other. 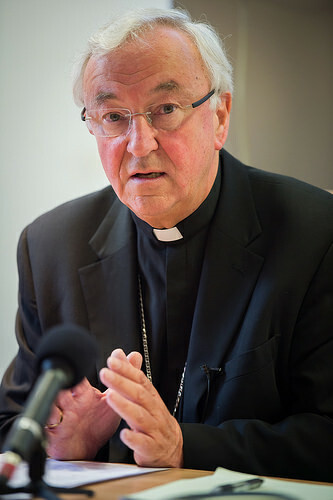 Similar views have been expressed by other cardinals, including Timothy Dolan of New York, Angelo Scola of Milan, Séan O’Malley of Boston, and Thomas Collins of Toronto; as well as by heavyweight Vatican cardinals such as George Pell, head of the Secretariat of the Economy, Marc Ouellet, who heads the Congregation of Bishops, and Gerhard Müller, who heads the Congregation for the Doctrine of the Faith. Two books have recently been published, as well as articles in the journal Communio, which make a vigorous case against Kasper’s proposals. 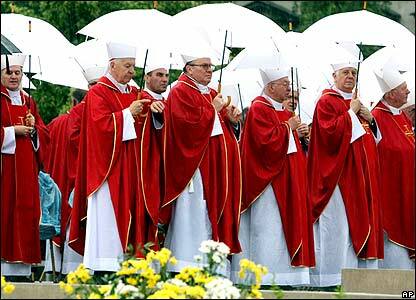 But Cardinal Kasper has defended himself, accusing his critics of wanting to freeze doctrine in tradition. Among those who say his proposals need to be looked at are Cardinal Reinhard Marx, president of the German bishops’ conference, and Cardinal Oscar Andrés Rodríguez de Maradiaga, chairman of the C9 group of cardinals. The disagreement is not over the doctrinal principle of marriage indissolubility, which none of the cardinals in this debate question. (As Cardinal Nichols put it in his press conference, “a marriage that is truly the place of the conscious, willing, acceptance of God’s grace can no more be dissolved than the Eucharist can be returned to ordinary bread”.) But Kasper’s critics say his proposal, which the whole college of cardinals heard in a two-hour lecture at their gathering (called a consistory) in February, would have the effect of undermining that principle in practice. The challenge facing the synod is clearly how to develop greater compassion and concrete support for those whose marriages have broken down, while resisting any change that would undermine the Church’s vital witness to the permanence of sacramental marriage. 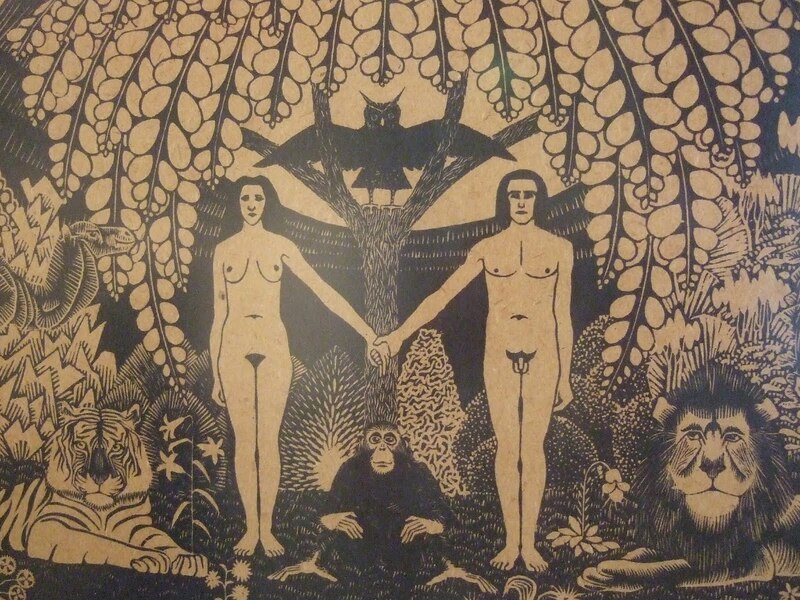 That witness has become more challenging as modern societies, influenced by the dominant ethic of autonomy, have come to regard marriage as a contract between two people for their benefit and convenience, rather than as a vehicle of God’s grace bringing about a new reality. Yet in that growing gap in understanding of marriage between Church and modernity lies possibly the scope for a far-reaching reform. This does not prevent us, however, from speaking, as we must, about the problem of the validity of many marriages in the present context of secularization. We have all attended a wedding at which you could not tell whether the intention of the couple contracting marriage really was to “do what the Church does” in the rite of matrimony! In theory, we all know the criteria or classical conditions for being able to contract marriage; especially that the will to consent not be vitiated but rather should be free and that there be sufficient personal maturity. Nevertheless, this current situation described earlier makes us reflect, and, as pastors, we are worried about the fact that many people who contract marriage are formally Christians, since they have received baptism, but are not practicing the Christian faith at all; not just liturgically, but also existentially. Benedict XVI issued an insistent call to reflect on the great challenge posed by baptized non-believers. Consequently, the Congregation for the Doctrine of the Faith took up this concern of the pope and set a good number of its theologians and other collaborators to work on the problem of the relation between explicit and implicit faith. What happens to a marriage when even implicit faith is lacking in it? It is certain that when implicit faith is absent, even though it was celebrated libre et recte [with free consent and with the proper form], it could be that it was invalid. It leads us to think that besides the classical criteria for declaring the invalidity of a marriage, it is necessary to reflect more on the case in which the spouses exclude the sacramentality of marriage. At the moment we are still in the process of working, with calm but persistent reflection, on this matter. I think that it would not be good to propose hasty conclusions, since we have not yet found a solution, but this does not prevent me from pointing out that in our congregation we are making great efforts to give a correct answer to the problem posed by implicit faith in the contracting parties. The need for the Church to respond to the zeitgeist has a series of implications — not least for the way the Church prepares and supports marriage. But it also widens the scope for annulment reform. 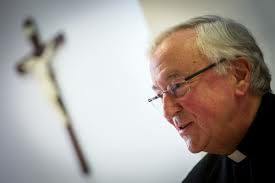 An annulment is not, as a Telegraph headline put it recently, a “Catholic divorce”. As Cardinal Müller puts it, “the Church cannot allow divorce in the case of a sacramental marriage that has been contracted and consummated.” An annulment is a declaration that a marriage never existed in the first place because it didn’t meet one or more of the tests in church law for validity. In an annulment, church tribunals investigate the way a couple went into marriage and in some cases determine that the contract was not valid. In this case, the Church makes a “declaration of nullity” or annulment. It is not saying that the marriage has run out of steam, but that the requirements for it to be a sacramental marriage never existed in the first place. Although church tribunals, like civil ones, grant annulments when it can be shown, for example, that there was coercion involved, or on grounds of non-consummation, they also grant annulments for defect of consent — where one or both of the parties did not have a proper understanding of what they were entering into, or had a psychological inability to assume its obligations. If the CDF concludes that the ‘minimal understanding’ of marriage has been lost in wider society, it would not be surprising if large numbers of those who entered Catholic marriages without proper preparation share the culture’s view of marriage, rather than the Church’s. This would in turn suggest that the scope for annulments could be broadened. In other words, the corollary of the Church determining to teach better what it means to enter a sacramental marriage could well be a recognition that more couples whose marriages have broken down could be released from their obligations, and would be free to marry again and receive the sacraments. The issue is delicate, however, because going too far down that road would undermine the Church’s witness to indissolubility. 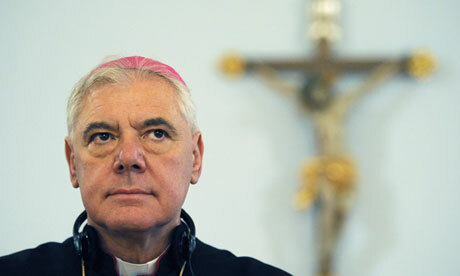 In any case, reform of the annulment system is already a fruit of the synod before it has even started. 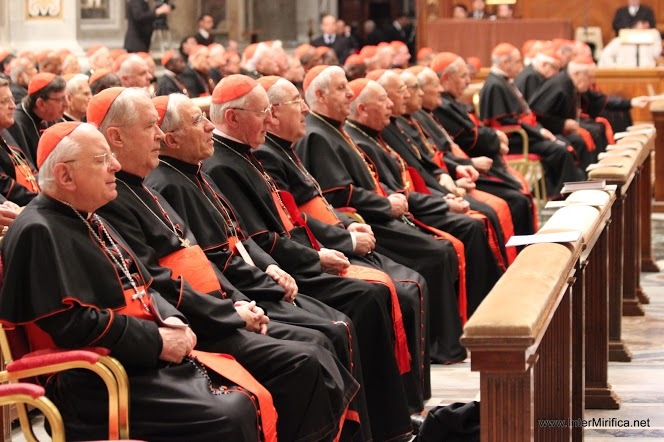 Last Saturday, Pope Francis announced the creation of a commission of eminent canon lawyers and theologians to look at how to make the system more efficient and more streamlined. That could mean, for example, revising the rule that annulment judgements be confirmed by a second tribunal, or making more judges available to study cases. The commission will “prepare a proposal of reform of the matrimonial process, searching to simplify the procedure, making it more streamlined, and safeguarding the principle of the indissolubility of marriage”, according to the Vatican’s statement. It is not clear if it will also look at the enormous disparities between church tribunals in the U.S., where there has long been criticism that annulments are far easier to obtain than elsewhere, to dioceses in the developing world where the absence of tribunals make annulments virtually impossible even to apply for. Although it has just 6 per cent of the world’s Catholic population, America accounts for somewhere between 55 and 70 per cent of the approximately 60,000 annulments granted each year worldwide. Yet the overall number of people applying for annulments has been falling dramatically. According to Georgetown University, numbers of US cases have dropped from 72,308 in the early 1990s to just 25,000 in 2011-12. In England and Wales, Scotland and Ireland, there has been a similar decline. According to the Canon Law Society statistics for all three bishops’ conferences, the number of cases brought to tribunals has dropped from over 3,000 in the early 1990s to barely 1,000 in 2012. Even taking into account the demographic decline in Catholic marriages, the figure suggests that huge numbers of Catholics whose marriages have broken down are not seeking annulments, and most of these stay away from the Church. A reformed, streamlined, more accessible annulment system could be the opportunity for many of them to return to the Sacraments, and to the life of the Church: a place of healing and mercy — without weakening the witness to the indissolubility of marriage.